You know what the worst part about neglecting HVAC maintenance is? You won’t know there’s a problem until you need to use it. Right at the beginning of heating or cooling season, when the temperature is just getting unbearable, that’s when the breakdown happens. Then, you’ll have to suffer until someone can come to fix it. But wait a minute. What if you get your HVAC maintained when you’re supposed to? Then there’s no breakdown, no interruption of function, no expensive repairs or replacement. This makes way more sense, right? Stay on top of maintenance and ahead of problems with this preventative HVAC maintenance checklist. That depends. How important to you is having an HVAC system that works? Because if you neglect the required maintenance, you will no longer have one of these. Like all technologies and appliances, if you don’t take care of your HVAC, it stops working. You’ll have air leaks, clogged ducts or a full breakdown. The best case scenario is an inefficient system and a higher electric bill each month. A worse case is a costly repair. Worst of all is a full replacement that costs more than you can pay. Comparing all these expenses to the cost of regular maintenance, you’re way better off getting the maintenance. We’ll start with the DIY HVAC maintenance you should already be doing on your own. Air filters should be changed every 3-6 months, in general. But pay attention to the packaging of the specific filters you use. It will specify on the packaging how long that particular filter lasts. When you change the filter, always write on it the installation date, and the date it should be changed, for reference. But note: poor air quality and heavy HVAC use will more quickly fill the filter to capacity. A filter that’s completely full is technically a clog. This makes the system work harder and less efficiently. Therefore, check the filter every 3-4 weeks to see how full it is, regardless of how much time it “should” have left. If it’s full early, change it. Always check for air leaks whenever you change your filter. Closely check any air ducts you can easily reach. Leave the inaccessible ducts for the pros. Trying to check these could hurt yourself or your system. If you do notice any leaky ducts, call an HVAC professional now. If you wait to call it in, you’ll be paying extra on your electric bill each month. You can also check windows and doors for air leaks. These you can probably fix on your own. Every month of the heating and cooling seasons, perform a system check. That is, test the functions of your thermostat to see if they’re working correctly. Test the fan, heating/cooling functions, programmable settings, clock, etc. Once you know it’s working properly, make sure it’s programmed appropriately to prevent energy waste. Do this at the beginning and end of the heating and cooling seasons. When Do You Need Professional HVAC Maintenance? You will also need professional HVAC maintenance at these regular intervals. AC maintenance is required once a year at winter’s end/the beginning of spring. This ensures it’s ready well before cooling season. Furnaces also need professional maintenance once a year, before the cold weather starts. Get professional furnace maintenance at summer’s end/the beginning of fall. The same rules apply for combination HVAC units that heat and cool. So these need professional maintenance twice per year. Just as above, schedule maintenance once at the end of heating season, once at the end of cooling season. This gives you plenty of time before the next season starts. If you keep your HVAC unit maintained, it should last about 15-20 years. If you neglect maintenance you’ll probably have to replace it every 10 years. 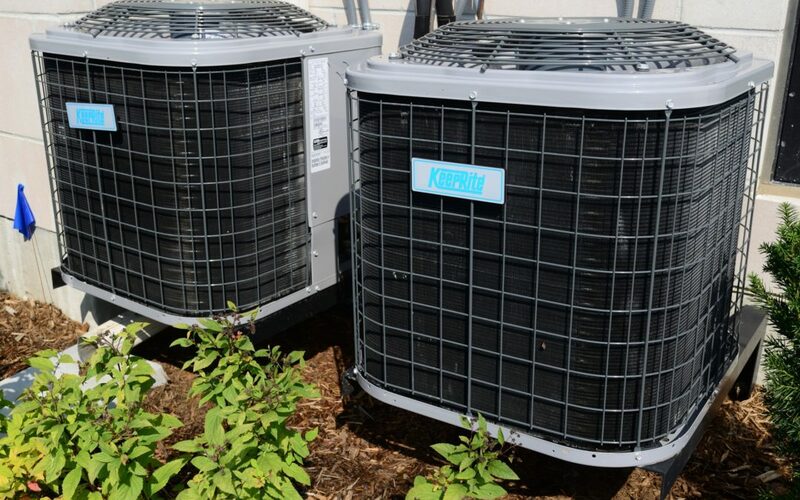 Keep your system in tip-top shape with this preventative HVAC maintenance checklist. Conserve energy, prevent problems, save money. Or, neglect your HVAC system until it breaks down, suffer the inconvenience, and throw your money away. It’s your choice. Now, check out The 3 Benefits of HVAC Preventative Maintenance.